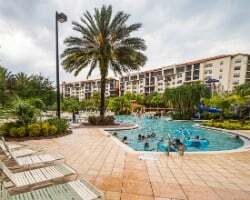 Vacationing at *Holiday Inn Club Vacations at Orange Lake's River Island* provides you access to all the amenities at Orange Lake, but better yet, you'll discover that River Island is a tropical paradise offering fun for the entire family! As Orange Lake's newest resort village, River Island, is centered around a stunning water park that includes two beach-style pools and a lazy river. Here, you'll find everything under the sun - a 30,000 square foot clubhouse, a 36-hole miniature golf course, luxurious cabanas, a full array of restaurants, bars, specialty shops, and much more. Even years week 38, Saturday check-in! Clear Title and Fees are paid! Located near all the area attractions! Buyer may receive a title fee credit. 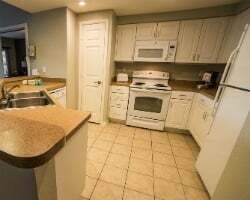 Enjoy vacationing close to just about everything you could possibly need on vacation! Buyer may receive title fee credit, inquire for details! Stay close to many exciting attractions! Week 34, Friday check in! Buyer may receive a title fee credit, inquire for details! Saturday check-in! Your reasonable offer will be considered! Inquire now to find out about additional weeks! Ideal resort with tons of amenities and attractions! Friday check-in! Week 22! Buyer may receive a title fee credit, inquire for details! Motivated Seller! Excellent resort for your Florida vacations! Buyer may receive a title fee credit, inquire for details! Outstanding resort with endless activities and amenities! Week 25 Friday check-in! Buyer may receive a title fee credit, inquire for details! Motivated seller just reduced $1000. Conveniently located close to Disney and other attractions! Inquire for details! Great option for families and couples! Week 24, Sunday check-in! Buyer may receive a title fee credit, inquire for details! Friday check in/ out! Perfect spot for the ultimate family vacations! Buyer may receive a title fee credit, inquire for details! Great option for families! Close to entertainment and attractions! Week 50, Friday check-in! Inquire for details! Close to many theme parks! Week 33! Friday check-in! Buyer may receive a title fee credit, inquire for details! Great resort for annual Florida vacations! Family friendly! Week 24 Saturday check-in! Inquire for details! Family friendly location near many activities! Week 49 Friday check-in! Buyer may receive a title fee credit, inquire for details! Fun resort on Orange Lake near Disney World! Week 44, Saturday check-in! Inquire for details! 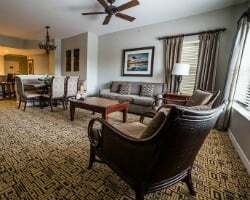 Family friendly resort close to Disney! Week 17, Friday check-in! Buyer may receive a title fee credit, inquire for details! High demand week 47! 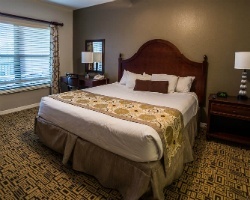 Luxurious accommodations and fantastic onsite amenities! Friday check in/ out! Great week for enjoying this fantastic resort! Week 18 Friday check-in! Inquire for details! Close to Disney! Week 50 Sunday check-in! Buyer may receive a title fee credit, inquire for details! Perfect option for families! Annual week 17! Buyer may receive a title fee credit, inquire for details! Outstanding resort with endless activities and amenities! Annual week 21! Buyer may receive a title fee credit, inquire for details! Great week for enjoying this fantastic resort and local attractions! Week 35! Buyer may receive a title fee credit, inquire for details! Ideal location right on the lake! Close to Orlando's best attractions! Week 4 Friday check-in! Buyer may receive a title fee credit, inquire today! Weeks 6 and 11 on the same deed! Friday check-in! Buyer may receive a title fee credit, inquire for details!